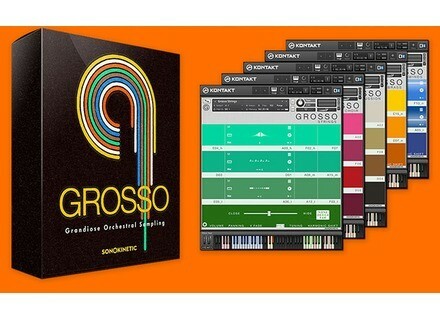 Grosso, Virtual Orchestral Instrument from Sonokinetic. Product replaced by the Sonokinetic Grosso 2. Sonokinetic announces via a video teaser the upcoming release a new orchestral sound library. 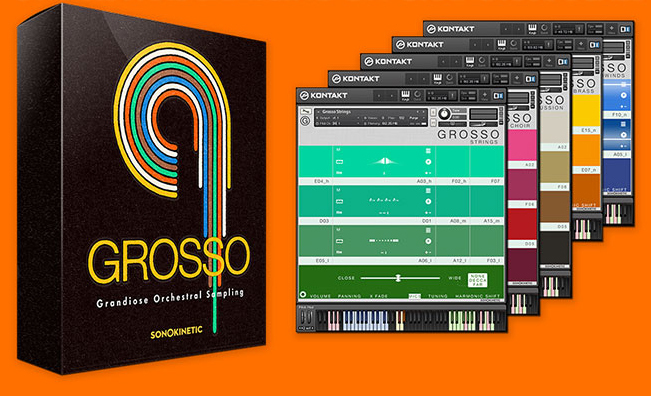 Grosso, that’s the name of this new sample collection for Kontakt, was produced by the team behind Minimal. It features 5 full sections of strings, brass, woodwinds, percussion and choirs. The details are still to be announced, Sonokinetic says Grosso will be available later in Q2, 2014. Classic amp presets for EZmix 2 Toontrack adds to its guitar amp models for EZmix 2 the Classic Amps EZmix Pack. Audiffex updates the GK Amplification plug-ins Audiffex has release VST3, AAX and 64-bit versions of its Gallien Krueger Amplification bass amp model plugins for Mac and PC. Soniccouture visited the Attic… And came back with a collection of 10 vintage synths and drum machines for Kontakt, with a special launch offer.